Whether you've never run a step in your life or have been running for 30 years, having the right shoes and equipment will help keep you healthy, comfortable, and happy to keep running and walking. At Striders every employee is rigorously trained to "fit" shoes so you know anyone that greets you is knowledgeable and able to help. We all use the products stocked in Striders so we can offer real life experiences along with expert advice. All of us are active runners spanning college athletes, life-long runners, and recent converts. Feel free to ask us advice on your running and we will try our best to help and make recommendations. We strive to make everyone feel welcome and send you out the door confident and excited for your next run. Come visit West Michigan's Local Running Store and Find Your Stride. Nancy is beginning her 15th year at Striders as the Grandville Manager and her 21st year as a team member. She is one of Striders first employees and has experienced all the stages of growth in the company. Nancy celebrated both her first and twenty-fifth years of marriage by running a marathon with her husband, Dean. In addition to completing over 10 marathons, in 2008 Nancy attained her lifelong dream of running the Boston Marathon. When Nancy is not at the store or rooting for her Red Wings, she is fully engaged in the Grandville Community, volunteering, and running throughout the town. 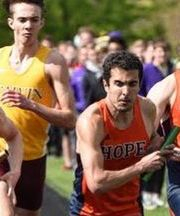 Ethan is a long-time runner who started to love the sport in middle school. full time at Striders, Ethan enjoys drinking coffee, Playing the drums, and word searches. 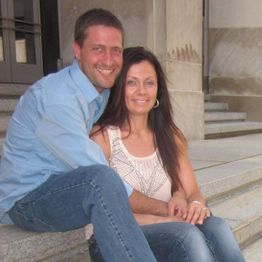 Karen has been married to her high school sweetheart, Seth for 19 years and they have two children. Her favorite parts of working in retail are meeting new people and making people happy. 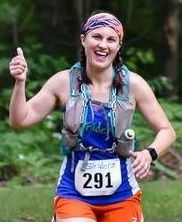 Karen discovered her athletic abilities at the age of 31 when she found that regular walking could lead to running! Since then she has found the marathon distance to be her favorite. Outside running, she always has had an appetite, so she finds cooking both challenging and rewarding. A random fact about Karen is she can walk on the knuckles of her toes, like a monkey! She's convinced that her abnormality is the result of wearing a pair of shoes she refused to part with as a kid, even though they were several sizes too small. Moral of the story: comfortable shoes may prevent monkey toes! 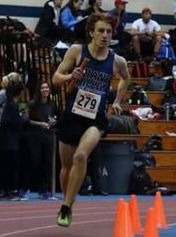 5th grade and is currently a member of the GVSU track team. Nick is a huge sports fan and a coffee enthusiast. later, hockey is no longer in the picture but running has stuck around! up on new training techniques, and playing the occasional video game. Jackie is currently a student at GVSU studying Clinical Exercise Science, and is eventually planning on pursuing a doctorate degree in physical therapy. 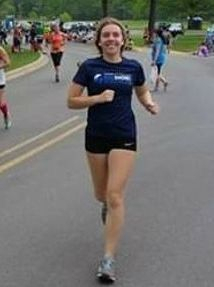 She has been running since 7th grade, and is currently a member of GVSU running club and triathlon club. When not running on the trails, you can find her rock climbing, drinking coffee, or listening to music. After Jeff witnessed how much fun his disabled daughter, Chelsea, had being pushed and pulled through a triathlon in 2006, he decided to let go of some unhealthy habits and stop smoking. Not long after, he and Chelsea began running. In 2007, Chelsea and Jeff ran their first race. The time they spent running together helped them to meet a great new community of runners and triathletes. Jeff also realized it was great therapy for him and for Chelsea’s epilepsy. After their first race together, they were hooked. They couldn’t run together enough. Over the next few years, Chelsea and Jeff pushed their physical limits with marathons and triathlons in West Michigan. In 2013, Chelsea was forever healed of her Rett Syndrome, just days after her last Riverbank run with her father. Jeff will continue to run with Chelsea by his side in spirit, and he is now able to keep the memories of his daughter alive by giving back to the running community with his wife and their store. 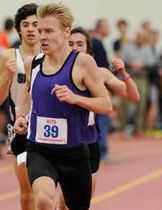 The Jauch's hope to carry on the great legacy of Striders that the Webster family built and so graciously entrusted them to continue. Though 2016 is their first year of ownership, it will be the 18th year of Striders legacy of supporting runners. The dedicated staff will continue to encourage and assist local athletes with all their running needs.